Charlie el-Khoury and his partner have launched a successful AI company since graduating in 2015. Just four years after graduating from LAU, Charlie el-Khoury has helped turn NAR, the company he co-founded, into a tech leader. El-Khoury and his business partner, fellow LAU alumnus Nicolas Zaatar (both BE ’15), produced the first real-time software platform specifically designed for drones to transform images into data. The software can turn almost any drone into a data-collecting machine that can be used for infrastructure inspection, making essential tasks safer and easier for those involved. Now el-Khoury, Zaatar and their team have taken NAR overseas, working on a number of high-profile projects in the Middle East and North America, and recently opening an office in the US state of Delaware. 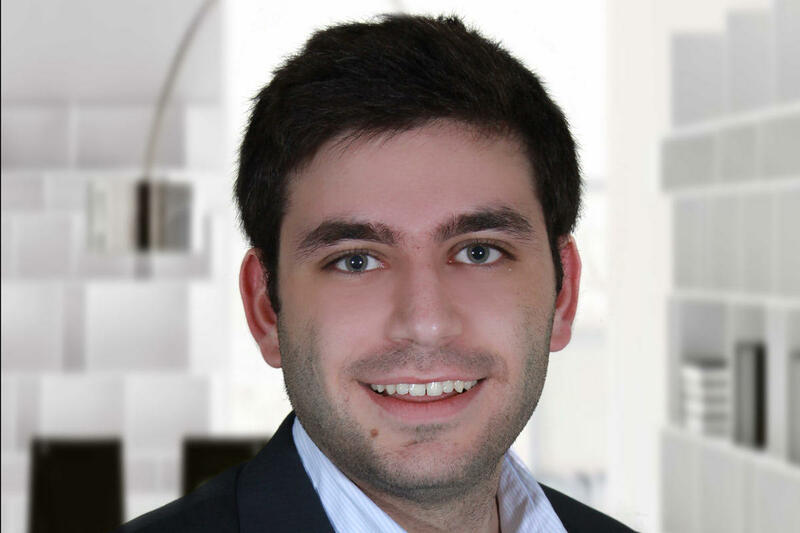 Topping off a successful few years, el-Khoury was just named on the Middle East 30 Under 30 list by Forbes. LAU spoke to him about his work, being a leader, and what up-and-coming entrepreneurs can learn from him. Tell us about your role at NAR. I’m the co-founder of NAR, and my current role is to manage and dictate the sales and marketing strategy. How has NAR changed you since you and your partner Nicolas Zaatar launched it? NAR is everything to me. Everything I am and know today is because of this company. It changed my whole perception of what someone can achieve in life, no matter where they come from. It liberated me from all the prejudices I had about life and success. What is the most satisfying thing about your work? The people. Working alongside an amazing group of people who care about each other. Some of those who work with us had had a hard time finding jobs after college. It’s a tough world out there, but this created a need in us to prove a point and made us hungrier for success. What are you, as a leader, looking for in employees? First of all, I’m looking for caring and kind people. Second, people who are hungry to learn. I want people to learn and grow with NAR. What is your vision for NAR in the future? When it comes to what we are building, I believe that one day drones will be everywhere, and it will be our job to make them complete specific tasks that will help the environment and the people, from inspecting safety-critical infrastructure to search-and-rescue operations in remote areas. I believe NAR is capable of leaving a big mark on the Lebanese and MENA startup ecosystem and will hopefully inspire the next generation of entrepreneurs in our region. Finally, I want NAR to be the place for every competent individual in my country Lebanon (and we have many) who is looking for a job but is either not finding one or has to travel to do so. What do you feel is behind your personal success? I don’t think I am a success yet. I’m on the right path, but I am not there yet. What advice would you give to LAU students interested in becoming entrepreneurs and/or tackling serious problems, as NAR does? I think the hardest thing at the beginning of startups is momentum. So, I advise people who are seriously looking to get into entrepreneurship to keep up their momentum by focusing on their mission only and disregarding the noise (family, friends, society, other jobs, money) from the outside that can easily sway them from this path.